Stephen King’s latest novel is an absolute pleasure to read. A breezy tale set in the summer of 1973; Joyland follows Devin Jones, a broken hearted student as he works at the titular North Carolina amusement park. The book takes elements from a cross section of King’s stories; it’s part coming-of-age tale, part-thriller, with an added touch of the supernatural and blends them together to deliver a well balanced novel that skips through its 283 pages. Devin is the stereotypical King character, the everyman (and a writer) who is easy to relate to, but the book is filled with many colourful supporting characters. The amusement park setting allows King to introduce characters like Madam Fortuna, the kooky resident fortune teller and Mr Easterbrook, the owner, who knows change is coming and that the old-style “carny” atmosphere will soon be making way for crass commercialisation. King is also able to let loose with ‘The Talk’, the old-style carnival lingo used by the park’s employees, and he appears to relish using it. A ghost story sits at the centre of Joyland, the murder-mystery of Linda Gray, a young woman who was murdered in park years before. Devin learns that her ghost still supposedly haunts the house of horrors where she was murdered and he becomes captivated by the tale and begins to follow clues which might lead to the capture of her killer. During his time at the park, Devin meets Annie and Mike, a mother and son who live near the park. Annie has a troubled past, while Mike is terminally ill – he also has ‘the sight’ and he’s able to see and understand things that others don’t. That’s not to say that these typical King-ian tropes are the main focus, they are a small part of the larger (yet simpler) story. In fact, Joyland has more in common with The Body (Stand By Me) than The Shining. What underpins Joyland is the sense of humanity. It’s about growing up and growing old, looking back at a time when the world was seemingly much more innocent. Joyland is told retrospectively by a sixty-something Devin, who is aware of the character flaws of his younger self. Joyland is a poignant tale, that deals with loss and sentimentality and King hits the right notes perfectly. Does Joyland have any flaws? Not really. It could be argued that the action-packed ending betrays the subtlety of the rest of the novel, but it needs to be included to conclude the mystery aspect of the tale. King has a lot of threads to tie together, so he can be forgiven for ramping up the tension. Stephen King has always been best when he’s dealing with the minutiae of human life, and he does that again with Joyland. An effortless read, Joyland again proves why King is a modern literary master. 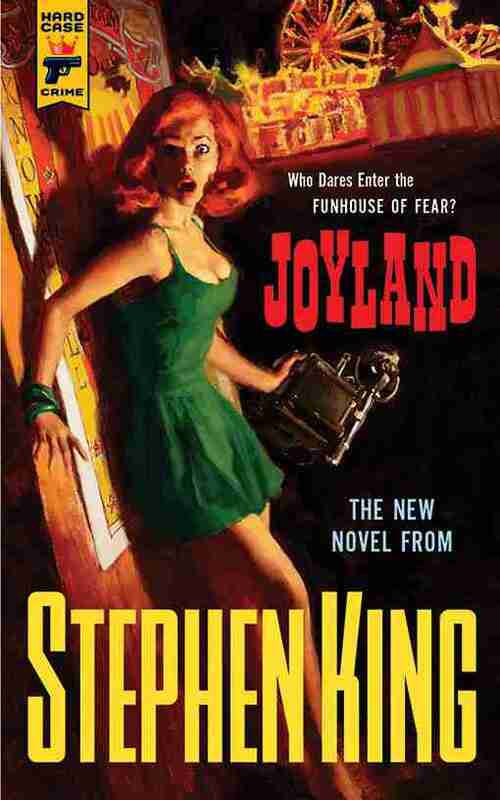 Joyland by Stephen King is published by Hard Case Crime.